Our 100mW laser infra red IR illuminator is simply the easiest to use high performance laser illuminator on the market. 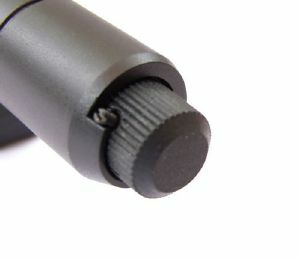 The illuminator is compact and fully adjustable for windage and elevation via it's unique ball joint friction mount. 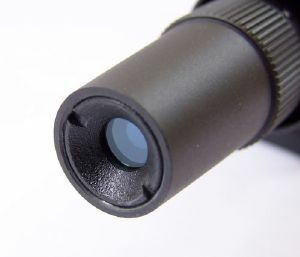 The beam can also be set from a tight 2" dot at 100 yards to a very wide even flood making it suitable for monoculars, dedicated night vision rifle scopes or add on systems where a monocular is fitted behind a day rifle scope. The illuminator is operated by a simple push button on/off switch at the rear or a rotary off/25mW/50mW/75mW/100mW/off 6 position switch for the N1000AP and there is a small low intensity red power LED on the top of the illuminator body. The illuminator is supplied complete with base, base screws and belt pouch case. Great bit of kit,had one for years,bought another one now for partners gun. Better than I expected,very pleased. Láser que es muy util para las esperas noctunas, ya que no es visible. All right, can improve the delivery, something slow, otherwise all right. No fitting instructions other than that as you'd expect.